Vijay Mallya will be dealing with a parallel litigation around an estimated USD 1.5 billion worldwide freeze order on his assets well into 2018. LONDON: Embattled liquor tycoon Vijay Mallya, who is undergoing an extradition trial in a UK court over Rs 9,000-crore fraud and money laundering charges, will be dealing with a parallel litigation around an estimated USD 1.5 billion worldwide freeze order on his assets well into 2018. According to court documents submitted at the UK High Court, the claim brought by 13 Indian banks against the 61- year-old businessman will come up for a hearing in April next year. "The First Respondent's (Mallya) application to set aside the Freezing Injunction is to be set down for hearing on the first available date after 11 April 2018 with a time estimate of 2 days," states the court document. The litigation in the Queen's Bench Division of the commercial court in England's High Court of Justice lists the State Bank of India, Bank of Baroda, Corporation Bank, Federal Bank Ltd, IDBI Bank, Indian Overseas Bank, Jammu & Kashmir Bank, Punjab & Sind Bank, Punjab National Bank, State Bank of Mysore, UCO Bank, United Bank of India and JM Financial Asset Reconstruction Co. Pvt Ltd as the applicants. Mallya and related concerns Â– Ladywalk LLP, Rose Capital Ventures Ltd and Orange India Holdings Â– are listed as respondents. The claim, dated November 23, relates to a judgment of the Debt Recovery Tribunal (DRT) in Karnataka dated January 19 this year, which concluded that Mallya was "liable" to the banks in the sum of INR 62,033,503,879.42 plus interest and as at November 22, that judgment sum is "still unsatisfied as to INR 98,530,512,249.42". The "freezing order" involves Mallya and related concerns being "restrained until further order, from removing from the jurisdiction any of their assets in the jurisdiction up to a limit of 1,145,000,000 pounds and in any way disposing of, dealing with or diminishing the value of any of their assets whether they are inside or outside the jurisdiction up to the same value". The UK court had upheld the Indian courtÂ’s injunction last week and given Mallya's lawyers more time to respond due to the ongoing extradition trial at Westminster MagistratesÂ’ Court, which is now expected to conclude on December 20. A ruling in the extradition case is expected a few weeks later, by mid-January. Meanwhile, Mallya remains on a 650,000-pound bail bond since his arrest on an extradition warrant by Scotland Yard in April this year. 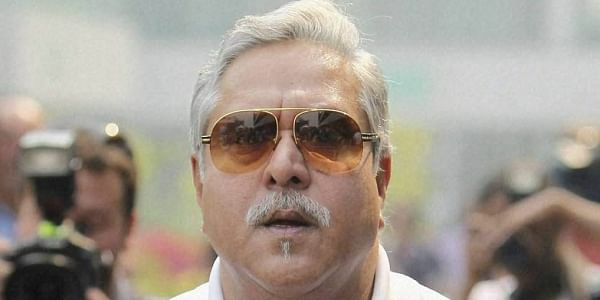 Since December 4, he has been in court over five days of hearings to establish if he can be forced to return to India to face charges of fraud and money laundering involving his now-defunct Kingfisher AirlinesÂ’ default of bank loans worth nearly Rs 9,000-crore. The Crown Prosecution Service (CPS), representing the Indian government, has claimed that the evidence they have presented confirms "dishonesty" on the part of the businessman, who acquired the loans through misrepresentation and had no intentions of repaying them. MallyaÂ’s defence team has been deposing a series of expert witnesses to try and establish that the default by Kingfisher Airlines was the result of business failure within a wider context of a global financial crisis and that its owner had no "fraudulent" intentions. The extradition case returns for one of its final hearings tomorrow, when Judge Emma Arbuthnot is set to hear the testimony of prisons expert Dr Alan Mitchell, who is expected to critique Indian jail conditions as a potential "bar to extradition". The CPS will need to demonstrate a prima facie case to show that the criminal charges against Mallya, for which his extradition is sought, are justified. The defence, on the other hand, will try and prove that the businessman will not get a fair trial in India because the case against him is "politically motivated".